Welcome to Tranquillity in the Heart of Scotland. 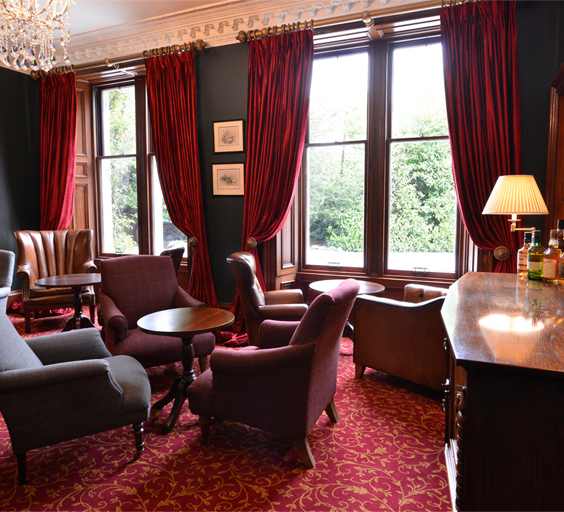 Recently refurbished, The Wellwood Guest House is a Victorian Manor House built in 1881. The Wellwood is set in its own woodland grounds and, with its elevated position, enjoys panoramic views offering seclusion, peace and tranquillity yet is only three-minute walk from the Pitlochry town centre. Bakyt and Peter own and manage The Wellwood ensuring personal attention to your needs. The Wellwood’s friendly staff is on hand to look after you and the exclusively designed interior makes this the best place to centre your tour of the Scottish Highlands, or just relax in quiet comfort, far from the madding crowd. We pride ourselves in providing superior accommodation to the discerning traveller. You can enjoy a nourishing start to the day with continental breakfast or our full traditional Scottish breakfast taken in dining rooms that overlook the stunning countryside. Later in the day, relax in our lounge perhaps with a glass of wine or one of our selected locally distilled malt whiskeys. Whatever you desire, “The Wellwood” offers high levels of comfort to cosset you during your stay in Pitlochry. Bakyt and Peter look forward to welcoming you soon.